Prices vary on the workbooks, depending on what series you choose to work with, or if you purchase individual workbooks ($3.50/each or a full series). The series we received, the Light Blue series for 1st and 2nd grade, is a complete curriculum for the school year. We received the e-book version and each grade level would be $27 for the full year's curriculum (e-books can be purchased through The Old Schoolhouse store). There is also the option to purchase the full printed curriculum through lulu.com. The Light Blue series are set up into major topics, allowing you to focus on a few topics at time and really make sure that your child has a complete grasp on the topic being studied. Generally curriculums introduce a new lesson topic and then move onto another topic quickly with little review of past topics. When you use these books as your only or main mathematics curriculum, they can be like a "framework", but you still have liberty in planning your child's studies. While addition, subtraction, and place value topics are best studied in the order they are presented, or ... in a different order. Laurianna and McKenna had a little difficulty adjusting to the curriculum mainly due to the wording and the way the problems were set up. The layout/format is different from the curriculum that we had been using, so it took almost 3 weeks for them to get to the point that they weren't complaining about having to do the worksheets (mainly McKenna :). Overall, that was our biggest struggle with the curriculum. This will be something that I will continue to use when the girls need extra practice on concepts they are struggling with. Having the curriculum in e-book format is convenient because I can print off the lessons that need to be covered and find the topic quickly and easily. And because I can decide what to print off, that helps save money in the long run and I don't need to waste paper and throw away unused worksheets. 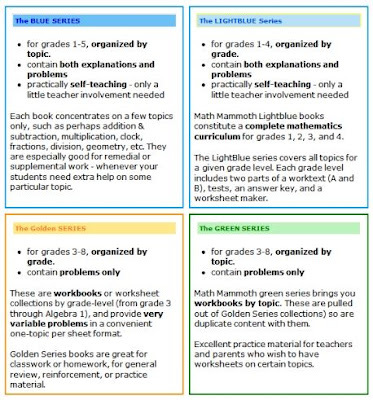 You can also subscribe to the Math Mammoth monthly email newsletter here and receive a gift of over 250 math worksheets and also sample pages from the various workbooks. 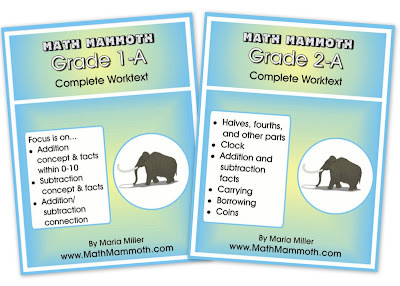 If you'd like to check out other reviews for different grade levels of Math Mammoth, visit the Homeschool Crew blog.